Okayama Prefecture, in Japan's largest island of Honshu, is a serene rural area bordered by the Seto Inland Sea in the south. Okayama is the perfect location to visit in order to experience Japan's more tranquil beauty. The prefecture is blessed with numerous fasinating islands to be explored, including Naoshima and Inushima, both of which have a distinct modern art influence. 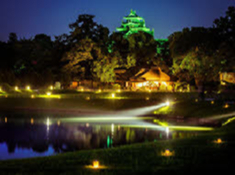 Okayama city,the prefecture's capital, is home to one the Japan's most famous gardens, a castle, and many popular restaurants where local culinary delights,such as Barazushi(seafood and vegetables with rice), can be enjoyed. The Okutsukei Valley, near the delightful town of Kagamino, is a beautiful, hidden location that truly represents the peaceful, scenic side Japan, far from the hustle and bustle of city life. Tourists visit the valley all year round with each season transforming the landscape in its own unique way. Visitors can also experience the therapeutic benefits of bathing in the natural hot spring of the Okutsu Onsen, located upstream from the valley. Another highlight is a trip to Kurashiki, where visitors can enjoy the town's canal culture and the Ohara museum, the oldest western art museum in Japan. 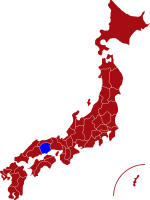 For more information about Okayama prefecture, see their official tourism website. Air - Okayama has its own airport which operates flights to and from Tokyo, Sapporo and Naha (Okinawa). The airport is located within easy access to the city centre. Click here for its English website. Rail - The main station is located in Okayama city. There are regular "bullet trains" to many major Japanese cities and the journey time from Tokyo is just over three hours. Okayama Castle was originally built in 1597 and restored in 1966, and is the symbol of the prefecture. Visitors can make their own Bizenyaki (traditional Japanese ceramics) and also try on traditional Japanese kimonos. 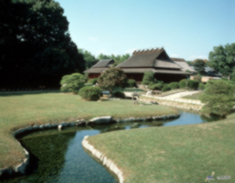 Korakuen Garden is one of the Three Great Gardens of Japan and a "must-see" for visitors to Okayama. Built in 1700, the garden is home to majestic cranes that can be seen wandering the grounds and offers spectacular views of rivers, lakes and of Okayama castle. Seto Ohashi is a series of six consecutive bridges that connect Okayama prefecture in Honshu to the Kagawa prefecture in Shikoku, Japan’s smallest island. 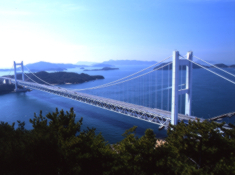 It provides an unparalleled view of the Seto Inland Sea and its beautiful islands. The Bikan District is a beautifully preserved district in Kurashiki which has managed to retain many of the features and atmosphere from the Edo Period. "Not-to-be-missed" for visitors to Okayama.